This book contains five chapters from Higginson's book "Travellers and Outlaws". 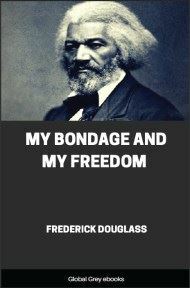 The collection presented here is commonly referred to as 'Black Rebellion: five slave revolts'. The Maroons! it was a word of peril once; and terror spread along the skirts of the blue mountains of Jamaica when some fresh foray of those unconquered guerrillas swept down from the outlying plantations, startled the Assembly from its order, Gen. Williamson from his billiards, and Lord Balcarres from his diplomatic ease,—endangering, according to the official statement, "public credit," "civil rights," and "the prosperity, if not the very existence, of the country," until they were "persuaded to make peace" at last. They were the Circassians of the New World, but they were black, instead of white; and as the Circassians refused to be transferred from the Sultan to the Czar, so the Maroons refused to be transferred from Spanish dominion to English, and thus their revolt began. The difference is, that while the white mountaineers numbered four hundred thousand, and only defied Nicholas, the black mountaineers numbered less than two thousand, and defied Cromwell; and while the Circassians, after years of revolt, were at last subdued, the Maroons, on the other hand, who rebelled in 1655, were never conquered, but only made a compromise of allegiance, and exist as a separate race to-day. When Admirals Penn and Venables landed in Jamaica, in 1655, there was not a remnant left of the sixty thousand natives whom the Spaniards had found there a century and a half before. Their pitiful tale is told only by those caves, still known among the mountains, where thousands of human skeletons strew the ground. 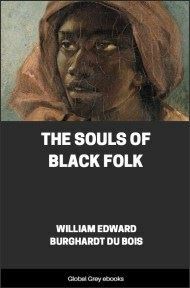 In their place dwelt two foreign races,—an effeminate, ignorant, indolent white community of fifteen hundred, with a black slave population quite as large and infinitely more hardy and energetic. The Spaniards were readily subdued by the English: the negroes remained unsubdued. The slaveholders were banished from the island: the slaves only exiled themselves to the mountains; thence the English could not dislodge them, nor the buccaneers whom the English employed. And when Jamaica subsided into a British colony, and peace was made with Spain, and the children of Cromwell's Puritan soldiers were beginning to grow rich by importing slaves for Roman-Catholic Spaniards, the Maroons still held their own wild empire in the mountains, and, being sturdy heathens every one, practised Obeah rites in approved pagan fashion. The word Maroon is derived, according to one etymology, from the Spanish word Marrano, a wild boar,—these fugitives being all boar-hunters; according to another, from Marony, a river separating French and Dutch Guiana, where a colony of them dwelt and still dwells; and by another still, from Cimarron, a word meaning untamable, and used alike for apes and runaway slaves. But whether these rebel marauders were regarded as monkeys or men, they made themselves equally formidable. As early as 1663, the Governor and Council of Jamaica offered to each Maroon, who should surrender, his freedom and twenty acres of land; but not one accepted the terms. During forty years, forty-four Acts of Assembly were passed in respect to them, and at least a quarter of a million pounds sterling were expended in the warfare against them. In 1733, the force employed in this service consisted of two regiments of regular troops, and the whole militia of the island; but the Assembly said that "the Maroons had within a few years greatly increased, notwithstanding all the measures that had been concerted for their suppression," "to the great terror of his Majesty's subjects," and "to the manifest weakening and preventing the further increase of strength and inhabitants of the island." The special affair in progress, at the time of these statements, was called Cudjoe's War. 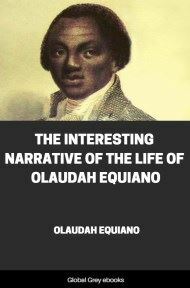 Cudjoe was a gentleman of extreme brevity and blackness, whose full-length portrait can hardly be said to adorn Dallas's History of the Maroons; but he was as formidable a guerrilla as Marion. Under his leadership, the various bodies of fugitives were consolidated into one force, and thoroughly organized. Cudjoe, like Schamyl, was religious as well as military head of his people; by Obeah influence he established a thorough freemasonry among both slaves and insurgents; no party could be sent forth, by the government, but he knew it in time to lay an ambush, or descend with fire and sword on the region left unprotected. He was thus always supplied with arms and ammunition; and as his men were perfect marksmen, never wasted a shot, and never risked a battle, his forces naturally increased, while those of his opponents were decimated. His men were never captured, and never took a prisoner; it was impossible to tell when they were defeated; in dealing with them, as Pelissier said of the Arabs, "peace was not purchased by victory;" and the only men who could obtain the slightest advantage against them were the imported Mosquito Indians, or the "Black Shot," a company of Government negroes. For nine full years this particular war continued unchecked, Gen. Williamson ruling Jamaica by day and Cudjoe by night. The rebels had every topographical advantage, for they held possession of the "Cockpits." Those highlands are furrowed through and through, as by an earthquake, with a series of gaps or ravines, resembling the California cañons, or those similar fissures in various parts of the Atlantic States, known to local fame either poetically as ice-glens, or symbolically as purgatories. These Jamaica chasms vary from two hundred yards to a mile in length; the rocky walls are fifty or a hundred feet high, and often absolutely inaccessible, while the passes at each end admit but one man at a time. They are thickly wooded, wherever trees can grow; water flows within them; and they often communicate with one another, forming a series of traps for an invading force. Tired and thirsty with climbing, the weary soldiers toil on, in single file, without seeing or hearing an enemy, up the steep and winding path they traverse one "cockpit," then enter another. Suddenly a shot is fired from the dense and sloping forest on the right, then another and another, each dropping its man; the startled troops face hastily in that direction, when a more murderous volley is poured from the other side; the heights above flash with musketry, while the precipitous path by which they came seems to close in fire behind them. By the time the troops have formed in some attempt at military order, the woods around them are empty, and their agile and noiseless foes have settled themselves into ambush again, farther up the defile, ready for a second attack, if needed. But one is usually sufficient; disordered, exhausted, bearing their wounded with them, the soldiers retreat in panic, if permitted to escape at all, and carry fresh dismay to the barracks, the plantations, and the Government House.